Splitterz → VW technical help → Can anyone help??? I am relatively new to the vw seen and purchased my first bus just over a year ago. The problem I have is finding help with the mechanical aspect of my engine! As the more I read the more I reliase there are many different ideas in what's best?!? I don't have loads of money but I love my bus and eager to learn as much as I can about them. Any help regarding mechanics or advice on the 1600 twin port would be super! its only nuts n bolts how hard can it be? My first piece of advice would be to invest in a copy of 'Jon Muirs how to keep your vw alive, for the complete idiot, this book will help ya more than any haynes manual can. Next thing to do is come down to a meeting n ask your local vwists who they use if you dont feel confidant in doin the work. Where abouts are ya ? The next Cambridge meet is on the 20th of March . At the lazy otter near Ely. Any thing in particalur you need some advice on or just general ? Where in Cambridge are you. I work in the Middle of Cambridge and could possible donate an evening to go through various bits and bobs with you. Alternatively, happy to try and arrange a time for you to bring your bus across to Huntingdon where there are a few more experienced peeps who would, I'm sure, share their experiences. Failing that, join us at The Lazy Otter on the A10 just north of Cambridge next Thursday (3rd Thursday of every month). Oh - welcome to Splitterz. Hopefully see you at the Lazy Otter next. 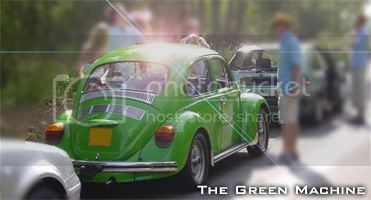 Any issues you have (VW wise) then ask away as you'll probably find someone who's been there and done that. The best think you can have is a willingness to get stuck in yourself as it's not really as difficult as you think, just something new. Welcome along! Come and join us at Otter and I am sure between us we can try and answer your questions!! I will for sure be heading to the lazy otter if I get her back on the road in that time. 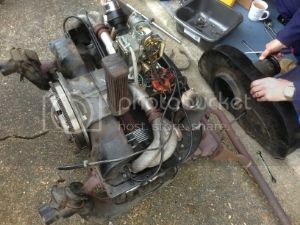 After a bit more looking over the engine iv come to the decision of having my original solex carb rebuilt, anyone done this before? Or having any info on someone who can rebuild one? Indeed. This a reasonably straight forward task, however it is made much easier if you have a compressor to blow out the cast galleyways. What is keeping you off the road at the moment? I would ask what has lead you to this decision to have the carb rebuilt? The high revving is making the bus over fuel and cut out a lot. Also, don't think you have to turn up in a dub to be part of the show, in winter we also use the parts chasers for meets. I have a box of bits in the back of the Bora that can see at least two members of the Splitterz chapter right on their Pict 34 carbs! As H-G says, compressed gas is what you need. I use the air cannisters and a tube but proper line air with a needle valve is perfect. Alternatively, a bike pump and football needle valve will help reach the tough spots! Is a great page for showing you how to strip down the carb, clean it and put it back together! Funnily enough its got to come out again before the meet next Thursday! I may be walking. Like t'uthers say, come along to a meet. There's a lot of knowledge and like minded folk there. After a bit of tinkering around today and for the cost of a carb return spring the bus is running sweet again, don't we wish issues were all so cheap? So see you all Thursday for my first meet! Cheers again and look forward to meeting you all!